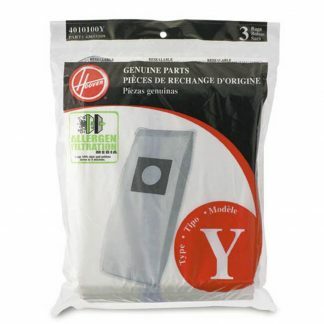 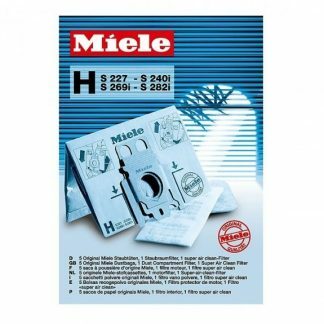 5 pack of Miele Type H double layer vacuum bags. Fits Miele models S269i-S282i. 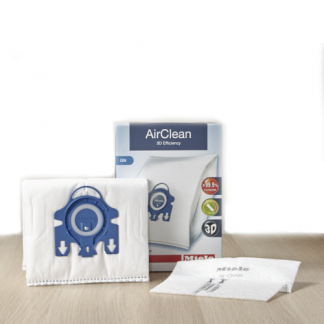 Get top performance and trap 99.9% of allergen microbes with the Type H dust bags from Miele – a trusted brand in the world of vacuum cleaners. The Type H Miele vacuum cleaner bags are for use in full size canister vacuum cleaners from Miele and work on a wide variety of vacuum models.